August 1941. "Scene in farmhouse kitchen near Burlington, Vermont." Acetate negative by Jack Delano for the Farm Security Administration. View full size. Submitted by mrdj on Wed, 01/30/2019 - 4:52pm. 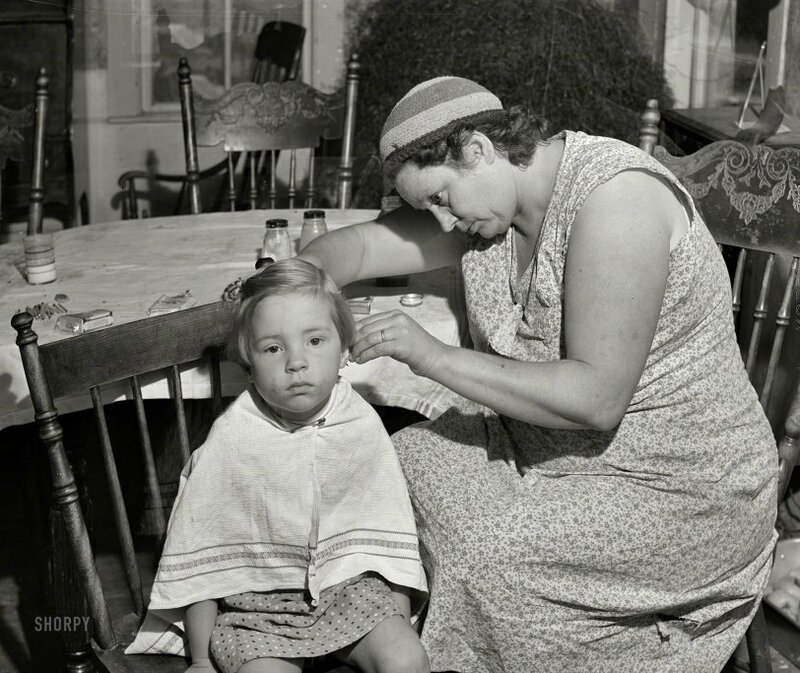 The haircut and era brings to mind the proverbial scene left on the cutting room floor of a younger sister of Tatum O'Neal in "Paper Moon". Submitted by pennsylvaniaproud on Tue, 01/29/2019 - 2:36pm. But my mom smoked Pall Malls and Lucky Strikes. Camels were too strong, she would say. Submitted by JennyPennifer on Tue, 01/29/2019 - 12:05pm. I'm not sure what's lurking in the shadows behind the subjects -- plant, animal, vegetable, mineral, or Cousin Itt -- but whatever it is, it's out of control.